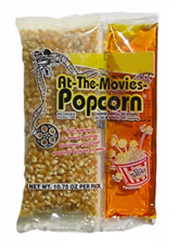 For use with all 12oz Poppers Complete with oil, seasoning, and popcorn. No need to buy anything extra. Just snip and pop! !